Excellent battery life per use. The two versions of Panasonic’s Eneloop rechargeable AAs are the clear-cut winners in our test, though they each represent a trade-off between long-term endurance (the amount of charge/discharge cycles before they need replacing) and their average life per use. The slightly more expensive Eneloop Pro (2550mAh) has a longer average run-time than the standard Eneloop (2100mAh), at 118 minutes and 92 minutes respectively. However, the cheaper Eneloop endured 225 charge/discharge cycles before failure, more than twice as many as the Pro version. 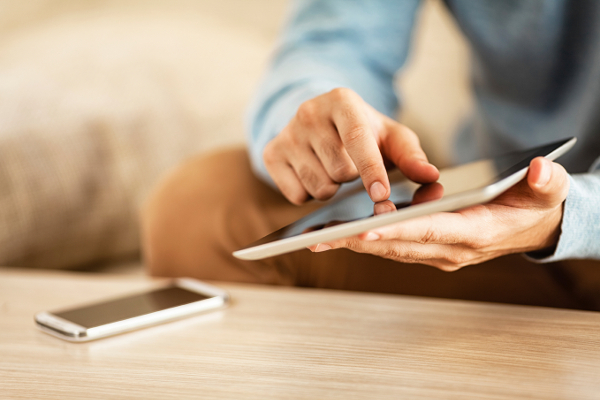 The upshot is the Eneloop Pro is the best option for applications like outdoor photography, where you need your devices to run for as long as possible and don’t have ready access to a charger. But if you’re OK with slightly shorter run-times, as long as you’re getting the most value (i.e. total lifetime energy) out of each battery, then your best bet is the cheaper Eneloop in the blue-pack. Like all rechargeables, neither battery is a good option for your survival kit: Panasonic claims 85 percent annual charge retention for the Pro, and 65 percent for the blue pack. In our self-discharge test both batteries achieved the equivalent yearly charge retention of only 54 to 55 percent. 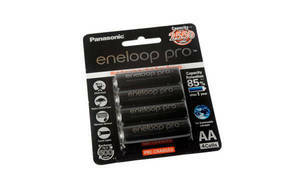 NOTE: Panasonic Eneloop AAA also available in 950mAh pro version or 800mAh for the blue pack.